A project led by Jean-Luc Gattolliat and Michel Sartori in collaboration with Laurent Vuataz. 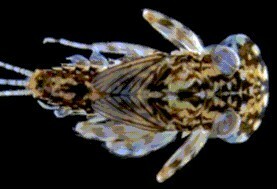 The mayfly family Heptageniidae is virtually unknown in Madagascar. At the moment only two species are described, belonging to the genera Compsoneuria and Afronurus, which are widely distributed in Africa and Southeast Asia. A recent molecular study presented several interesting finding. First, all Malagasy Heptageniidae form a monophyletic clade, thus challenging their placement in two different genera. Their closest relatives are to be found in Africa, and they are much more diverse than previously thought, with an estimate of at least 14 species. Our goal now is to describe these species and to circumscribe their generic placement. L. Vuataz, M.Sartori, J.-L. Gattolliat & M.T. Monaghan 2013. Endemism and diversification in freshwater insects of Madagascar revealed by coalescent and phylogenetic analysis of museum and field collections. Molecular Phylogenetics and Evolution, 66: 979-991.